Well, we knew it was only going to be a matter of time. A new smartphone (a bunch of them, actually) has unseated the ASUS ROG Phone as the top Android device in terms of Antutu Benchmark results in China for October 2018. The Huawei Mate 20, Mate 20 Pro, and Mate 20 X have achieved the three highest benchmarks, in that order, with the regular Mate 20 scoring an average of 311,840 points — the most ever recorded on an Android device. The recently announced Xiaomi Black Shark Helo, a gaming phone with a crazy 10GB RAM, came in at fourth place, followed by the original Black Shark. They registered 301,757 and 293,544 points, respectively. The Meizu 16, OnePlus 6, ASUS ROG Phone, Smartisan Nut R1, and Nubia Z18 rounded out the top 10 best-performing phones. 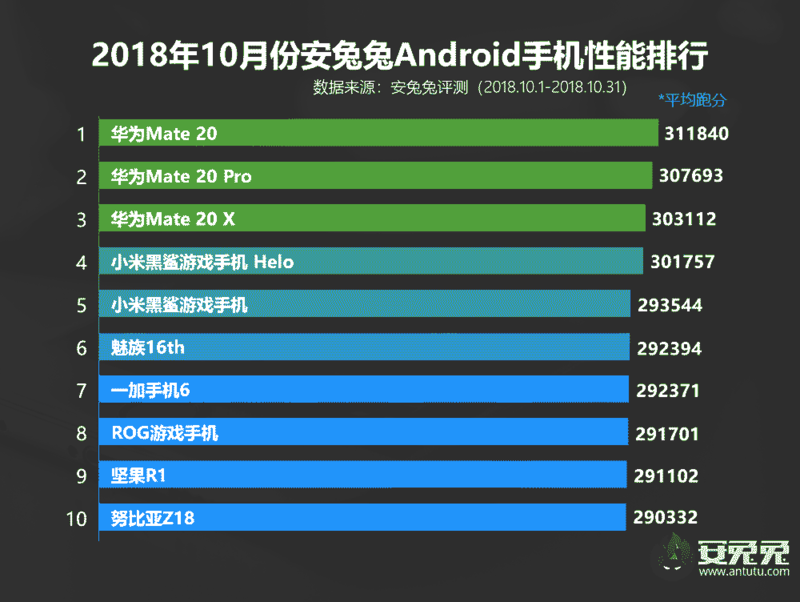 October 2018’s 10 best-performing Android phones in Antutu: China edition. We’re still awaiting the global list. All the names on the list are either powered by the Huawei-made Kirin 980 or Qualcomm Snapdragon 845. And while the latter has lorded over Antutu’s benchmark rankings throughout most of the year, this latest chart suggests the Kirin 980 is the one to beat now. The latest Antutu ranking in China suggests Huawei’s Kirin 980 is the chip to beat now. As always, the different test results are indicative of the different specs available on each model. More memory will almost always result in better benchmarks. The same is true for devices with lower-resolution displays; the fewer pixels the device has to power, the higher the score is in general. The Huawei Mate 20 is equipped with as much as 6GB RAM and a 1080p LCD. Antutu says the scores have been averaged over the period October 1 through October 31. It collected at least 1,000 test results from each phone running Antutu Benchmark version 7. 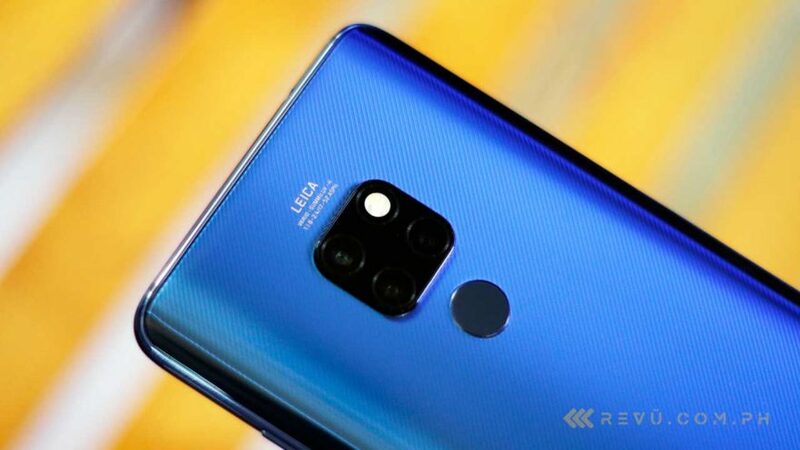 The Huawei Mate 20 and Mate 20 Pro are set to formally hit stores in the Philippines beginning tomorrow, November 3. The Mate 20 is priced at P40,990 (about $770), while the Pro version costs P49,990 ($939).